Rewarding you for spreading the word about our hard work! We strive to offer the highest quality, professionalism and greenest in home cleaning in Rancho Cucamonga, Alta Loma, Upland, Claremont, LaVerne, Etiwanda, Ontario, Chino, Chino Hills, Pomona and Montclair, CA areas! We encourage you to tell your friends and family members about us. 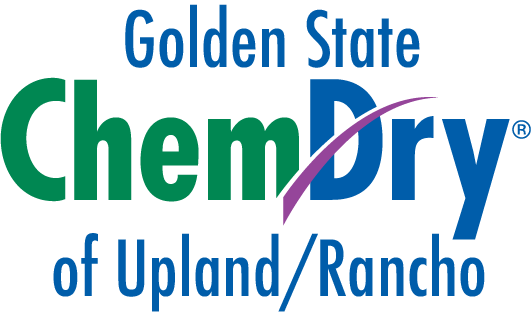 Make sure to tell them we’re Golden State Chem-Dry. We’ve made it easy! 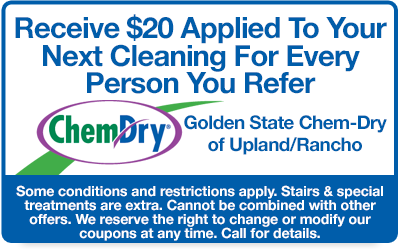 Simply print and pass these cards along or just tell others about the great service you received from Golden State Chem-Dry. Simply write your name on the back of the Referral Rewards Gift Cards we provide to you. Then pass along our Referral Rewards Gift Card to anyone. They contact us and receive $20.00 off of their service when they redeem the card at the time of cleaning.